here's how I solved this case !! begin with .. Once upon a time..
they are an awesome way to use up scraps !! Stunning page Heather love the stacked bunting and your doodled border is lovely touch, what paper range is this? What a cutie! Your layout is just so adorable Heather. You are so inspirational. OMG Heather, I am in love with the distressing, chipping and aging you've created on the banner and on your elements... LOVE this. Please tell me you have a tutorial or "tell all" on how to achieve this look!! You continue to amaze me and love how you inspire me! GREAT layout! Absolutely GORGEOUS!! I loveeeeeeeeeee that photo, the colors and loving the layered banners!!! Awesome. Love that colour combination and the pics are very cute. Your banner is just awesome and your handwritten Journal, doodling and handwriting is awesome. Just love it. So cool your banner and its a BEAUTY your page! Oh wow! This is so sweet. Love the shapes on the banner and those pics look so precious! 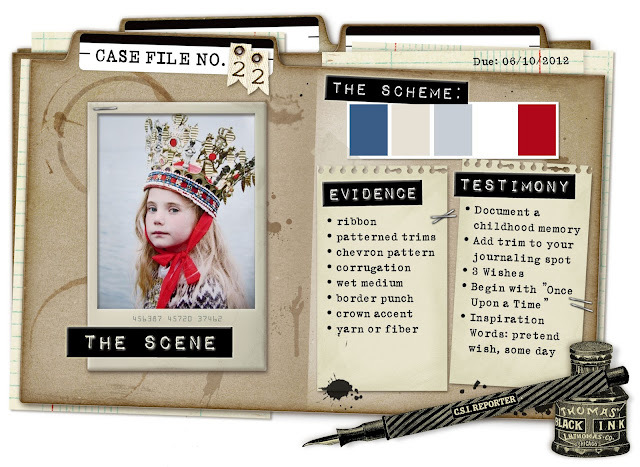 Gorgeous page and your journaling is pure sweetness! Awesome banner! PS. I have sent you an email!!! NOw that layered banner COMPLETELY ROCKS big time! Sooo beautiful Heather, love love love that banner! Do I detect a bit of a style change of late? I like it !! sooooooo cool!! that banner is awesome! !